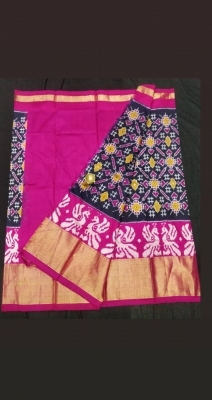 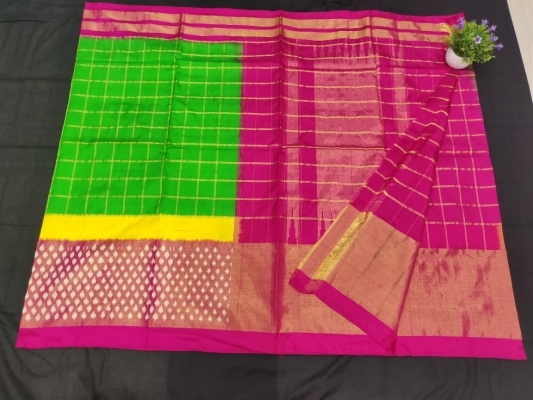 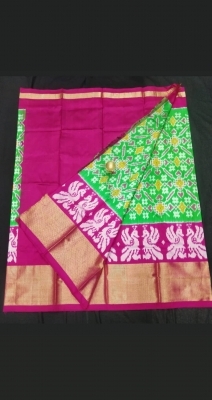 Hand woven mangalagiri cotton nizam saree with extra contrast nizam blouse Blouse : 80 cm of saree blouse and 1 m of contrast blouse Hand woven saree with cotton fabric in count of 80*80 . 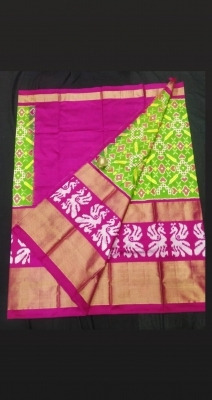 Rich hand woven zari in borders and pallu . 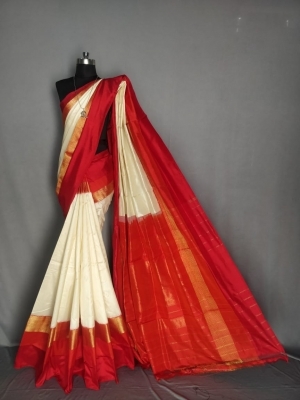 Extra Blouse width is 44-46 inches of saree width .